A bizarre set of circumstances and a certain amount of ‘sliding doors’ saw me working a bar on Saturday night…. 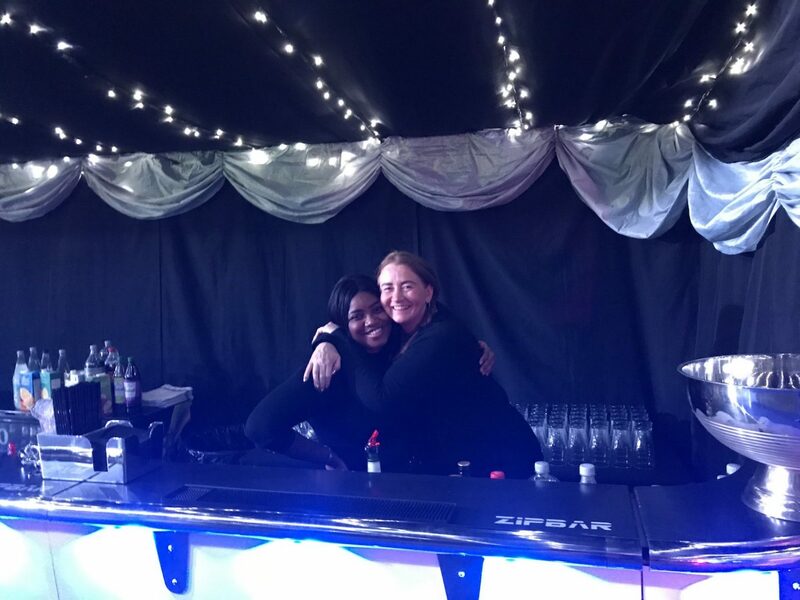 We really don’t provide “just staff” for an event but when one of our brilliant suppliers asked if we could help with two bar staff for a private party at their home we would not and could not refuse and it was great that we quickly founds some willing helpers for them. Fast forward to Saturday and we received a message that one of the team had come down with Nirovirus and we just couldn’t find a replacement….. or so we thought….. on went my superwoman cape and the time machine rolled back to 1987. I must admit I was a little rusty but I soon found my feet. A little adjustment of the bar set up and I was flying. The actual drinks may have changed, pink gin…. never heard of it back in the 80’s on the Old Kent Road and Campari was, well, what was it? But the basics have not changed at all. I must say that the most difficult part was memorising the drinks that were not on our wine list….so many beers, so little time – so little memory (old age strikes again)!!! The ladies and gentlemen that attended the party to celebrate a 60th birthday were just that – ladies and gentleman. 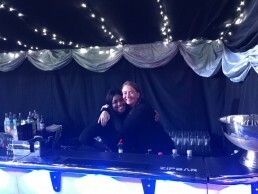 In fact they even told us we were fabulous at what we do – run a bar – and would we do another! Little did they know that I cut my teeth in this industry at the Thomas a Beckett when the world was asleep and some of them were probably just a twinkle in their parents eyes! But the most brilliant part of the night is that it turned out that the birthday girl and I went to the same school and the supplier worked in the same pub 10 years before me and that we all grew up socialising in the same places but a few years apart. So I’d like to wish Sue a very happy 60th year and thank Tony and Jack for being brilliant suppliers and clients. You were a dream to work for and as always, like attracts like which means your guests were just as wonderful. It’s a very small world isn’t it?! There’s only 1 way to celebrate your 50th – with Masterchef Finalist Steven Lickley!